Slip-on elastic closure for easy to pull on and off flexible and comfortable. Lightweight soft Eva memory insole make you feel like walking on soft pillows. Ultra-light MD midsole provides great arch support, shock absorption enhancing comfort and easing stress and pain on the heel. 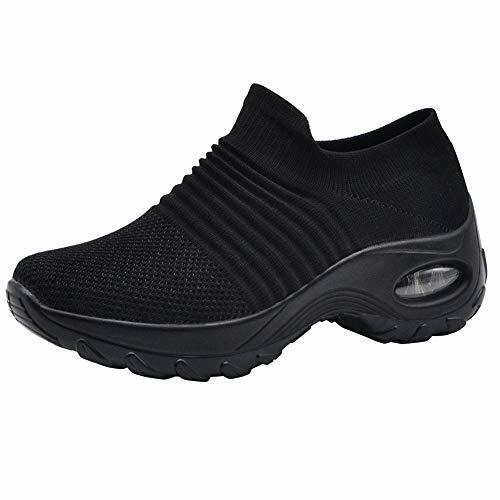 Fashion and casual walking shoes for all day long standing worker, nurse, mallwaker, driving, travel, outdoor indoor works, physiological footwear, shopping, joggers, cashier, waiter.